A unified finite element formulation for the elastoplastic analysis of skeletal structures is presented. Parametric expressions are used to describe not only the element displacement field but also the stress-resultant distribution, in both mesh and nodal representations. 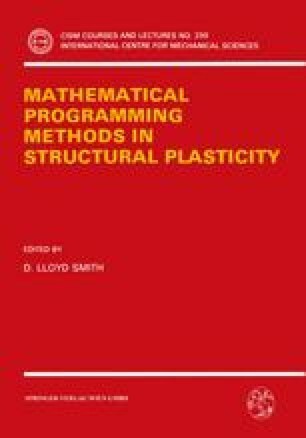 A finite element description, in terms of stress, strain and plastic multipliers, is incorporated to model the cross-sectional behaviour of the constitutive building elements. The ensuing formulation is encoded to perform both elastoplastic deformation and incremental analyses.